Premium enclosure for 12ft octagonal trampoline. Is your enclosure torn and damaged? Do not hesitate to replace it! 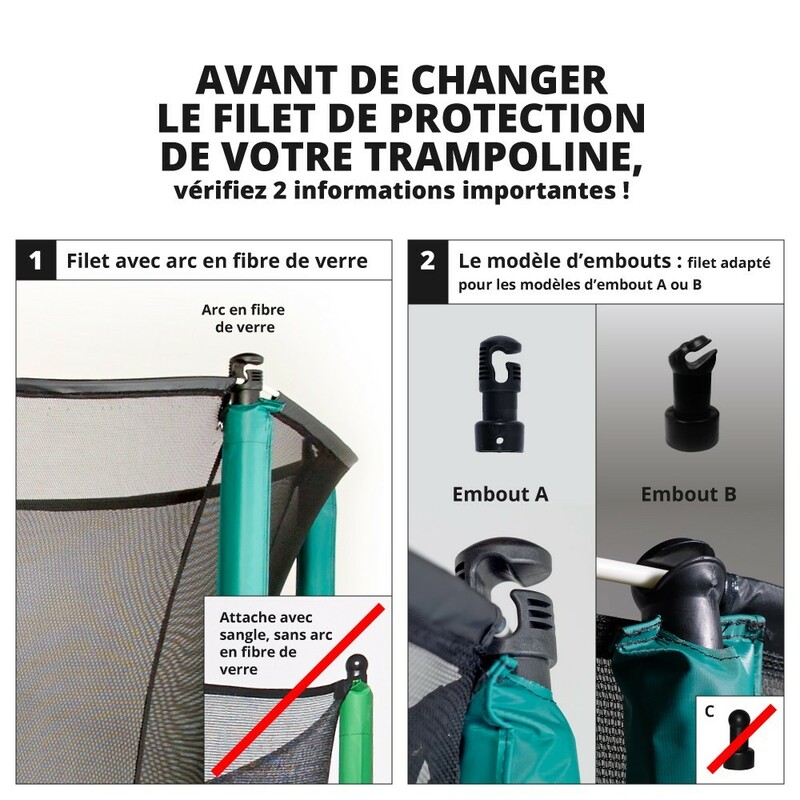 At France Trampoline, we have a large range of spare parts, so you can change your premium enclosure without having to replace the rest of the components. 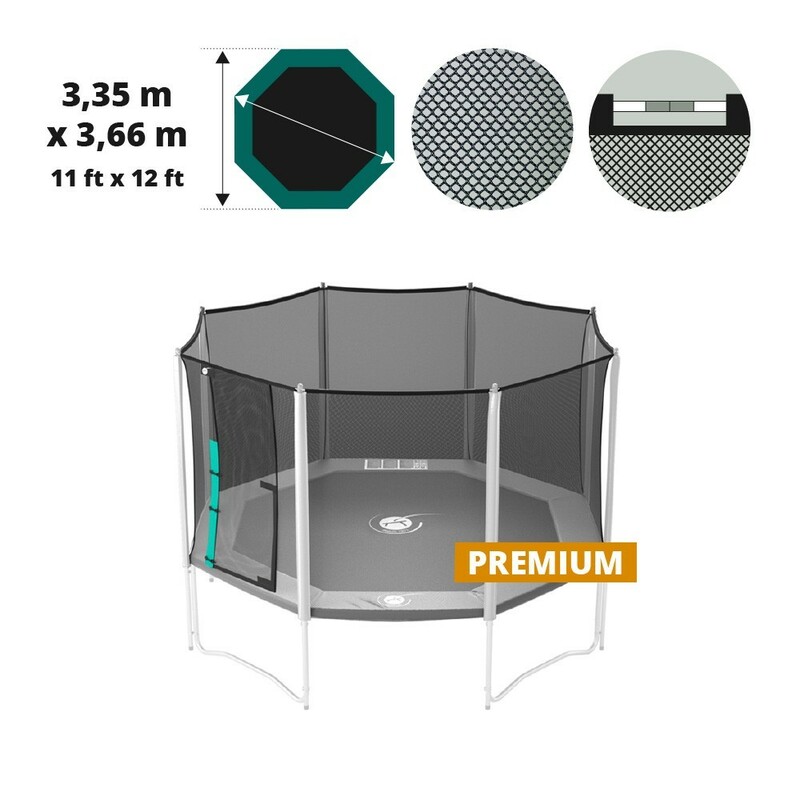 It is essential to make sure that users are always safe, so whilst you are waiting for your new enclosure, we recommend preventing any access to the trampoline. - This enclosure is adapted to octagonal trampolines of 3.66 m x 3.35 m in diameter, with 8 posts and 4 feet, such as the Waouuh 360. For any trampoline bought after March 2012, the fibreglass rods are sold separately. 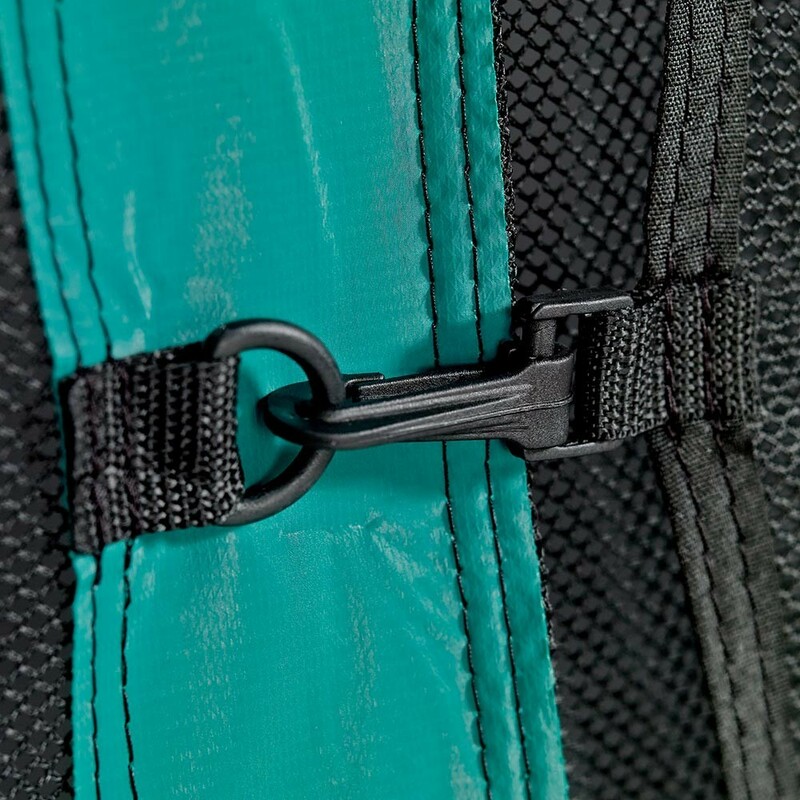 - The enclosure has an overlapping entrance which closes using a velcro strip on the inside and clips on the outside. This double door improves the safety on your trampoline. - This enclosure has very tight netting to prevent children from getting their fingers caught when they fall. They can therefore fall into the netting without hurting themselves. 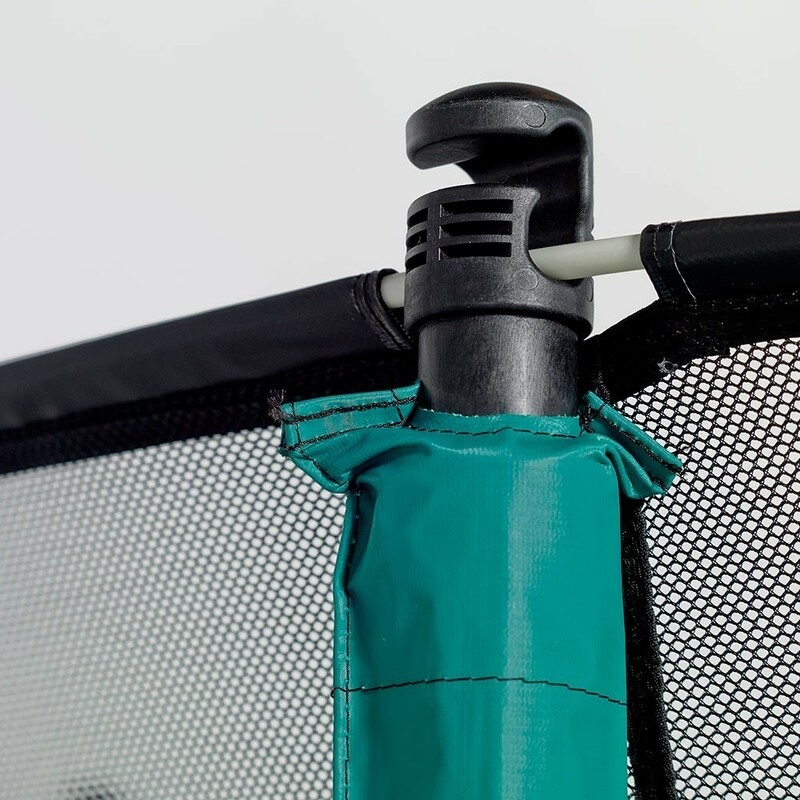 - To improve stability and solidity of the netting, clips attach the enclosure under the trampoline, next to the springs. 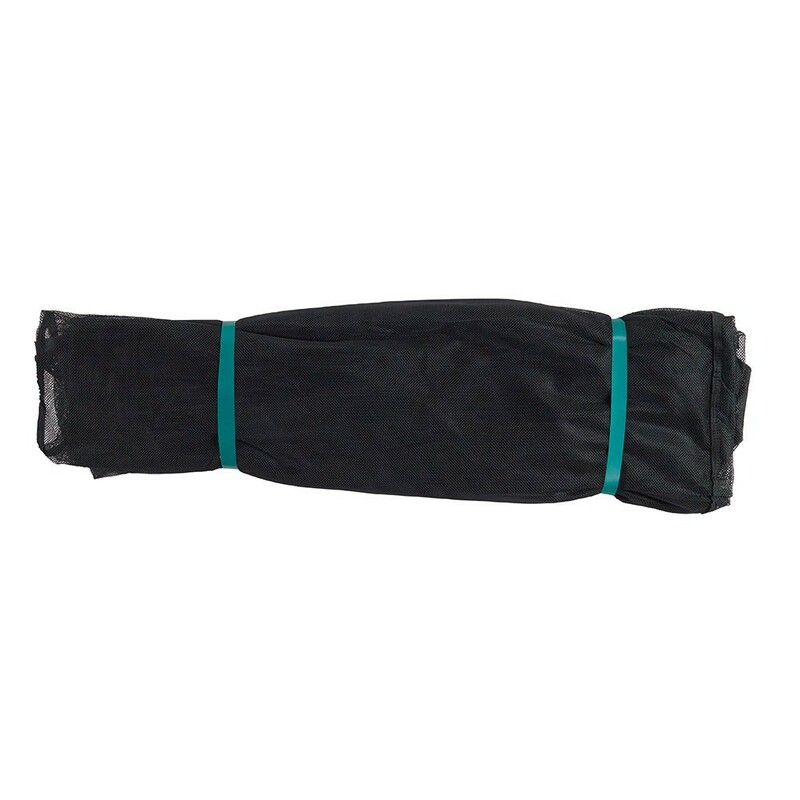 The enclosure is therefore fixed between the posts and the frame pad, preventing any falls between the two. 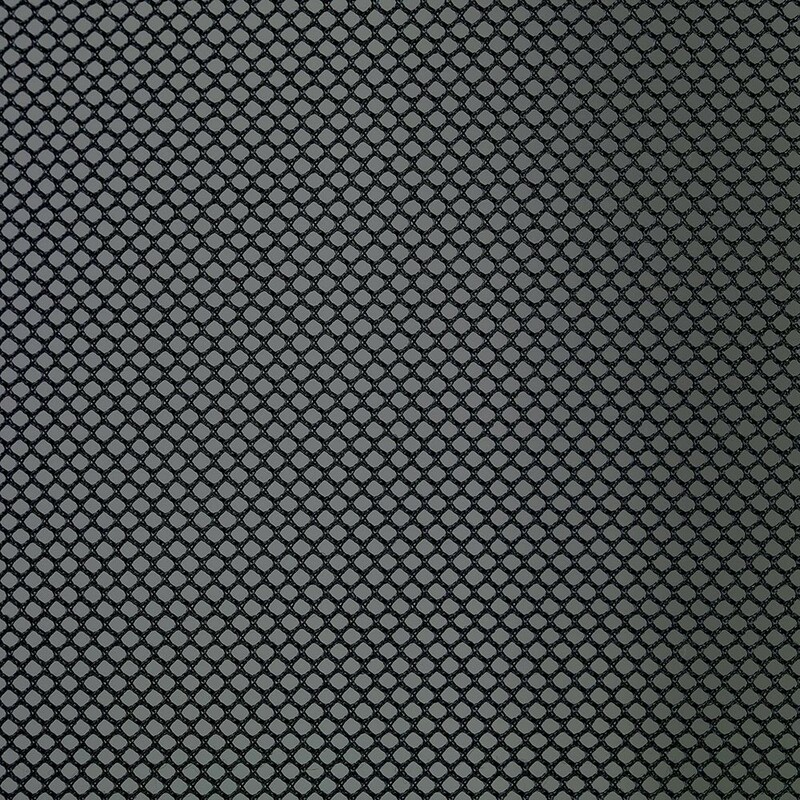 Constant high tension is applied on the netting, making sure that your trampoline is always safe. - Designed using polyester, a very resistant material, the enclosure is held in place using fibreglass rods at the top of the structure. These are sold separately from the Premium enclosure and can also be bought on our website.